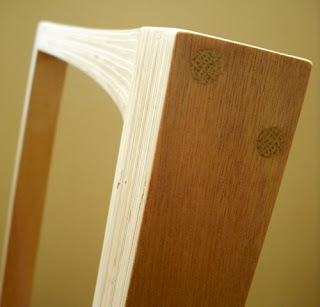 Some update pics of the chair that we have been working on for our living room. No final pics to show off yet, but there will be soon (hopefully). 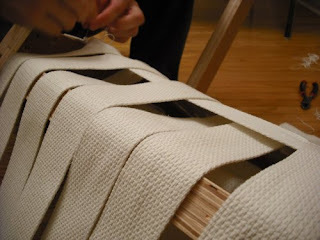 Everything is held together with dowel pins and a bit of glue. For some reason, I am loving the laminated end grain of plywood. 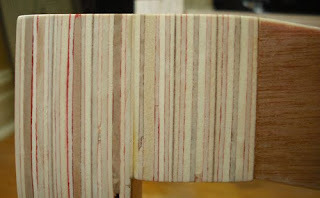 We found this sheet in a parking garage, and it has such a nice cross-section with red glue and a variable wood profile.